Since 2007, the number of students with disabilities taking part in Erasmus+ has been almost stagnating while the number of young people experiencing Erasmus+ exchanges is increasing rapidly. The question of the inclusiveness of one of the flagship EU programmes has been raised much time over the past few years. 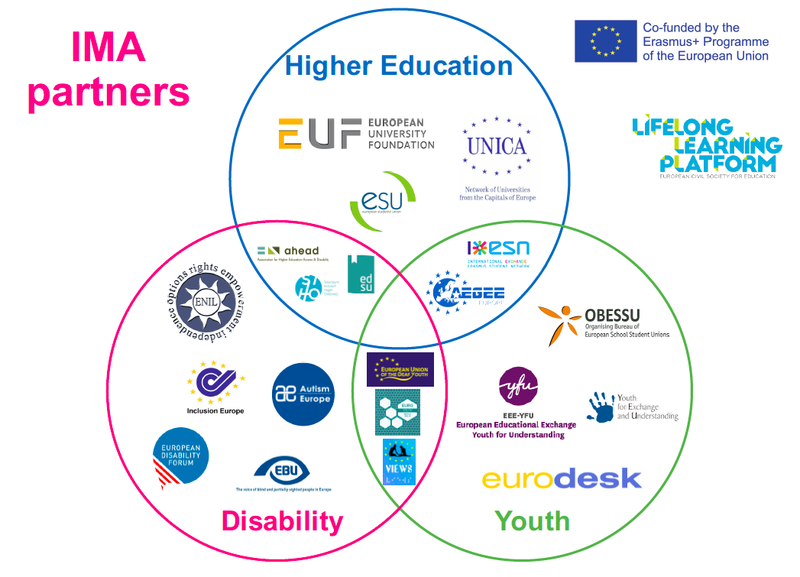 Despite many efforts made, Erasmus+ is still considered by many as a rather elitist programme. During a meeting organised at the European Parliament on the 5th of December 2017 and hosted by MEP Damiano Zoffoli (S&D), the stakeholders present agreed to create an alliance of organisations working on the topic of Inclusive Mobility. Second day of exchange at the launch of #inclusive mobility alliance to discuss barriers and good practices to enjoy mobility abroad in #higherEducation and #youthExchange for all. By the end of the year, the project partners will produce a set of recommendations for policy-makers at all levels (European, National, Regional and Local) on how to make international mobility more inclusive. The Alliance will also be officially created and launched in December 2018 with a long-lasting aim of monitoring EU and national policies as well as advocating for more inclusive mobility programmes. Stay tuned! The Inclusive Mobility Alliance project is co-funded by JINT, the Flemish National Agency for Youth. For more information, please contact dominique.montagnese@esn.org.